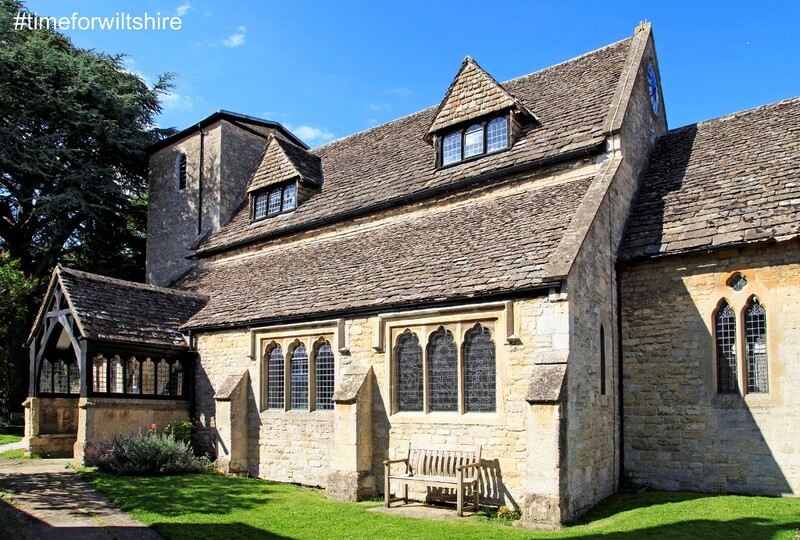 Situated in the north of Wiltshire, Cricklade has been called the most intact example of a late Saxon new town in Britain. It is also the first town on the River Thames and southern gateway to the Cotswolds. The name Cricklade means the place by the river crossing. It is one of just a few preserved Saxon towns. The Town motto is in loco delicioso which translates as in a delightful place. The town is steeped in history, with many landmarks and over 100 listed buildings. It was home to a royal mint from 979 to 1100 and there are examples of Cricklade coins in the town museum. 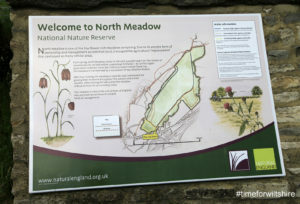 The North Meadow National Nature Reserve is protected as a Special Area of Conservation (SAC) and a Site of Special Scientific Interest (SSSI). 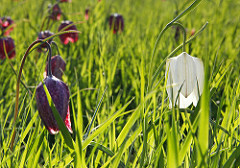 It is famous for its spectacular wild most beautiful display of rare snakeshead fritillaries. They flower from late April through to May and the North Meadow holds 80% of the British population. This is one of England’s wild spectacles and the reserve is of international importance, as it is one of the finest examples of lowland hay meadow in Europe. Do not miss the fritillaries in spring; are a timeless pleasure! Visitors can follow the Heritage Trail which explains key features through a series of interpretation boards around the town. It takes you on a route past many of the towns historical landmarks and buildings including C13th St Sampsons Church and the Priory of St John the Baptist. You can also see the Town Hall, C19th Museum (previously a Baptist chapel) and Saxons Rest “the site of Queen Elizabeth IIs Diamond Jubilee Mosaic. There is also an unusual commemoration clock from Queen Victoria’s Diamond Jubilee by Suc Sur Erdre Place. All Saints Church, Leigh, under the care of The Churches Conservation Trust, is now just a chancel. It is the remains of a medieval church near the source of the Thames. Check out the Royal Wootton Basset and Cricklade Towns and Villages Trail. Cricklade holds a Fun Run 10k and half marathon in October. The Cricklade Festival is on Father’s Day each year. Cricklade has a wide High Street with some interesting speciality shops and places to eat. The Red Lion Inn offers a traditional British menu and serves Hop Kettle beer brewed in its own mirco-brewery on site. In nearby Swindon the restaurant at the Campanile Hotel offers seasonal ingredients that guarantee freshness and quality all year round. For additional shopping you make like to head to McArthurGlen Designer Outlet Swindon featuring big brands at discount prices. The Red Lion Inn which dates back to the early 1600s has a traditional British pub atmosphere. Nearby you’ll find Hook Farm Cottages, with four contemporary cottages converted from farm buildings. Near Swindon, is Ardecca in 16 acres of pastureland. The Swindon and Cricklade Railway located near the town and run by volunteers, there are regular trips throughout the year, including many by steam engines. Cricklade lies at the southern gateway to the Cotswold Water Park which offers everything from high speed watersports to birdwatching, angling and peaceful walks. Also nearby is the riding school Rein and Shine which offers private and group lessons. Lower Moor Farm Nature Reserve, owned by the Wiltshire Wildlife Trust has four reserves on site and offers a landscape of fascinating contrasts with wildfowl, water voles, otters and wildflowers. Braydon Maize Maze is nearby and open from August to September.